Realign Yoga | Renewal for the Mind, Body, and Soul! Raquel Bradley discovered yoga while studying at University of Houston in 2007, and immediately embraced the benefits yoga offered. Personal practice helped alleviate stress from a demanding school and work schedule. 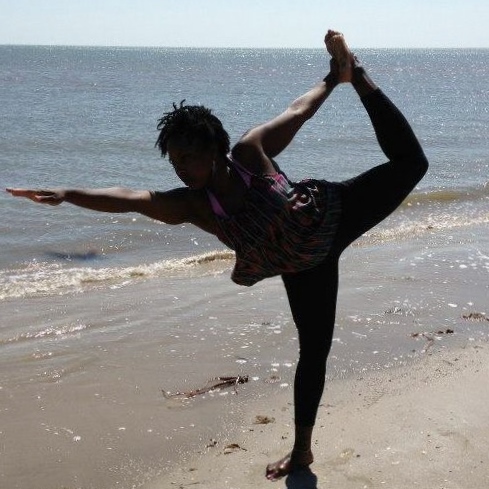 Raquel deepened her practice and sought out to become a certified yoga instructor. Later in 2012 Realign Yoga was developed with the purpose to heal others through yoga. Realign Yoga is a practice that encourages healing from the inner realm of the mind, body and soul. With an open heart Raquel invites all on a personal journey to Realign. Realign offers group, private, and workshop classes for stress management, yoga for beginners, yoga for athletes, proper breathing techniques, yoga for couples, power yoga, and family yoga. Realign Yoga will also offer natural health and wellness consulting in the near future.